Woods showed he still had the game to compete with the world’s best when he triumphed in last year’s Tour Championship, his first victory of any kind since 2013. Now, he’s back on top with his first green jacket at Augusta National since 2005. In a final round that was played in threesomes off both tees to stay ahead of approaching thunderstorms, Woods grabbed the outright lead for the first time with a two-putt birdie at No. 15. Then, with Olympic champion Michael Phelps standing behind him on the tee at the par-3 16th, Woods wrapped things up by sticking an 8-iron within 2 feet of the cup for another birdie and a two-stroke lead. Francesco Molinari began the day with a two-shot advantage over Woods and Tony Finau. But the Italian self-destructed on the back side, dunking two balls in the water on the way to double-bogeys at the 12th and 15th holes. 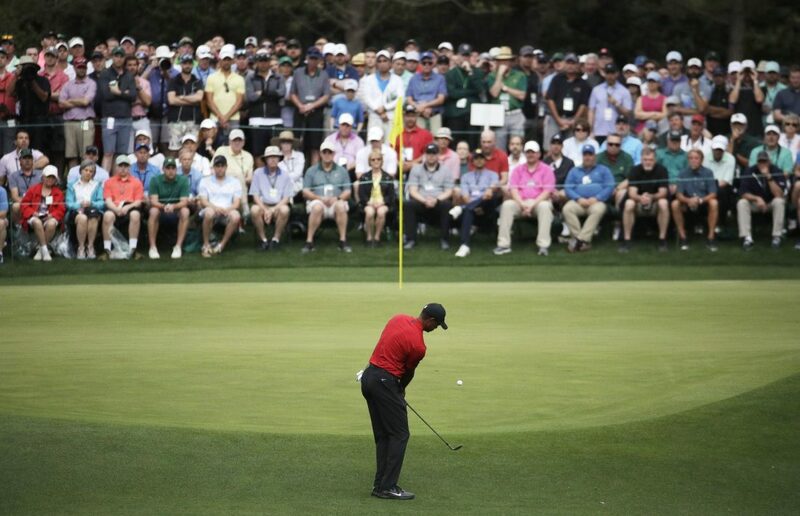 This is the first time Woods has ever come from behind on the final day to win a major championship, leaving him three behind Jack Nicklaus’ record of 18 major titles.